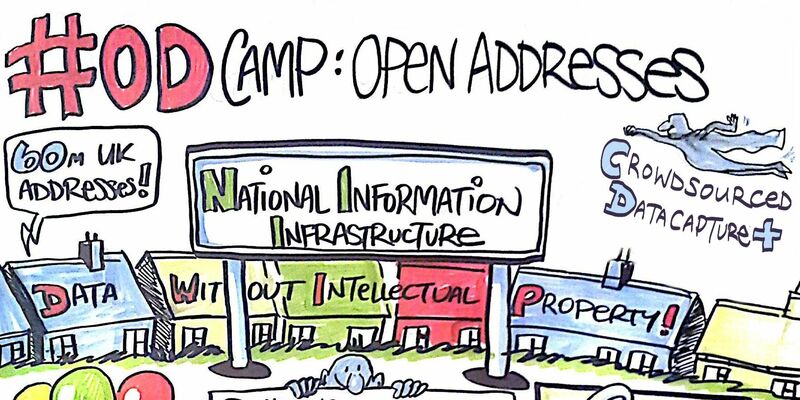 The team behind Open Addresses addressed Open Data Camp for the second time on Saturday in the day’s final session. The ongoing-development of an enormous database of every address the UK, designed to be integrated into the National Information Infrastructure, began by introducing a couple of tricks they build upon their address-data skeleton. They are using existing datasets not otherwise used for this purpose, such as those provided by Companies House. These sets can be extrapolated, with further addresses hinted in amongst the data. The ‘Ze’ postcode in Scotland’s Shetland Islands has called the “black sheep” dataset since its publication in December as it only offers 117 addresses. It’s an example of how sparse house data can be, and demonstrates how particularly difficult it is to cover remote areas; big cities like London have more readily available address information. On Fogralea road in ZE1, for instance, there are only two houses: number 5 and number 30. Open Addresses has figured out a way of make an informed guess how the rest of the street looks. They call it ‘inferring’ and it helps place houses 6 through 29. Above or below those numbers, however, nothing can be done because the risk of getting the postcode wrong is too great; it’s better not have an address than to send someone to the wrong place. This inferring process is supported by the organisation’s crowdsourcing efforts. The Open Address mobile app asks users to “help us improve the UK’s address data” by either confirming an address location or tipping them off to a potential problem. User feedback helps asses the trustworthiness of an address, adding or subtracting certainty that the site is where it says it is. Inferred addresses are automatically given a lower statistical confidence score, and potential outdatedness of old addresses sees it marked down. The project invites users to challenge its data, with one member of audience gleefully noting the absence of a handful of Nottingham back roads on Open Street Map. This big data big mission is all mighty impressive, but is there an actual purpose? Open Addresses hopes to create a data commons of all the places in the UK; it’s a platform for technology that has yet to arrive. With each home given its own URL, The package-delivering drones will know exactly where to go, how to get there, and if there’s anything specific to be done. But it’s not just a future-tech thing, it’s also a solution to problems right here right now. The organisation estimates that between 50 and 100 million pounds are spent every year on comprehensive address lists. Not only that, but those lists aren’t even very good; they’re managed by old institutions using old processes. And there are some people who’s lack of address data is messing with their rights. One man, the Open Addresses team claimed, couldn’t register to vote because his house wasn’t on record. But perhaps this super-database will cause some problem as well – what about spam? And, indeed, they have a longer answer to that. How can we become better open data producers?